Lately, I’ve been writing about selling options in bear markets. No surprise here as the market is down about 10% in the past three months. This, of course, is challenging for all investors but manageable to those who have achieved the three required skills for option-selling (stock selection, option selection and position management). Market conditions will dictate and give direction as to the type of securities best-suited for our current portfolios and the most appropriate strike prices to use. In the past several weeks we have seen the re-appearance of gold exchange-traded funds (ETFs) onto our Premium ETF Reports. Even in bear and volatile markets, there are always securities that perform well and it is imperative for Blue collar Investors to locate these underlyings. GLD produced the lowest option profit returns and smallest downside protection of those profits. Because GLD had the lowest implied volatility, this is what we expected. Conservative investors with low risk-tolerance may prefer the GLD $111 strike which generated a 5-week return of 1.5% (time value only) which was protected by 2.6% on the downside. More aggressive investors may opt for the GDX $15.50 strike which generated a 5-week time return of 3.4% which was protected by 7.8% to the downside. I created the Ellman Calculator to assist us in making the best investment decisions based on our personal risk tolerance and overall market assessment. Gold ETFs may represent an investment opportunity in certain bear market environments. We must be diligent in evaluating the risk incurred in our trades to make sure that risk matches our trading style and personal risk-tolerance. For the week, the S&P 500 declined by 0.82% for a year-to-date return of – 8.77%. BCI: After two positive weeks, we had a down week of a bit less than 1%, confirming that the market has yet to establish a firm bottom. Friday’s rally was a positive as was the consistent bounce off the S&P level of support at 1812. 1/3 of my stock investment portfolio remains in cash short-term. Favoring only deep out-of-the-money puts and in-the-money calls on active positions. ***U.S. securities markets will be closed Monday, Feb. 15, for Presidents Day. 3- Use the Ellman Calculator (multiple tab) to calculate returns, breakeven and downside protection for calls and decide which best meets your goals and personal risk tolerance. In the screenshot below, I have the call calculations for 4 strikes that do meet our initial goal of 2% (ROO-yellow column) and offer downside protection of that profit (brown column). The column to the left of ROO shows the breakeven price point. The greater the downside protection, the lower the ROO…we choose from these 3 choices…simple. Using the BCI Put Calculator, we look for out-of-the-money puts that meet our 2% goal. The rows with the red arrows show initial and annualized returns and the row with the blue arrow shows the breakeven point…amount stock price must decline to the breakeven. The greater the protection to breakeven (6.99%), the lower the initial (unexercised) returns (2.01%). We choose from these choices…also simple once we get the hang of it. Since our blog always moves on I want to reach back to Steve from the last post since he struck a chord with me: covered calls on dividend stocks. Alan, I hope it’s fair to say you do no pay much attention to dividends. You identify the best stocks in the best performing sectors and sell options according to market conditions with a monthly cash flow target in mind. Steve, I am a stodgy retired guy brain washed on the efficacy of dividend stocks. I make them better over writing every month. In my view there are growth stocks and income stocks. We do have many members who prefer to write calls on dividend-generating stocks that also meet our fundamental, technical and common sense requirements. This is why we include % dividend yield and ex-dividend date information in the “running list” section of our Premium Stock Reports. There is one additional management consideration that must be mastered when using dividend-stocks. If the ex-date is prior to the expiration date of the contract sold, there is a greater possibility of early exercise. This is most likely when the ex-date is close to the expiration date, the strike is in-the-money and the time value component of the premium is less than the dividend about to be distributed. Covered call writing can be crafted to meet numerous trading styles and personal risk-tolerances. This week’s Weekly Stock Screen And Watch List has been uploaded to The Blue Collar Investor Premium Member site and is available for download in the “Reports” section. Look for the report dated 02/12/16. What are your thoughts on option writing on inverse ETFs as a way to stay with the primary market trend? 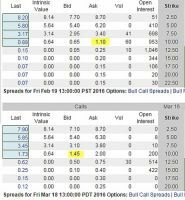 Your positions are stated as being in the money calls and deep OTM puts. Not much to work with in this market. How deep ITM calls do you like to sell in this environment? > 10 % ? Again not much out there. Lastly, would you go out 2-3 months selling puts if the option chains were rich enough to be wat OTM? Your spot on about the number of choices being quite low recently even combining both stocks and ETFs. This is due to the nature of the bear market environment we’ve experienced over the past 6 weeks. This will change and our Premium ETF and Stock reports will once again become robust with many more choices. We will NEVER publish candidates that don’t meet our standards. First, select a goal for your (monthly) return…say 2%. Next look at an options chain that generates that amount of time return and measure the protection also provided by that position. The higher the initial time value return, the lower the protection. As long as the position meets our goal, it is okay to consider. Alan’s replies never need build. But when things get volatile I shorten expiration. There is a flexibility versus yield fulcrum that teeters toward the flexible side when waters get rough. And there is never lost bravery in cash. I struggle with the inverse ETF’s only because I got them so wrong so often in the bull market. But they may be the darlings of 2016. Particularly the unleveraged ones like SH and DOG. The leveraged ETF’s – long and short – were designed as daily trading vehicles. There is danger holding them for longer periods because of the daily reset and the leverage of loss. Alan, I must first say that was quite a useful article to consider using the gold ETFs. I don’t hold any of those ones as yet but wouldn’t mind trying them if given a chance. 1. If I have sold an OTM option for the month and at expiry I have maxed out the return – with price above strike price and total return 4-5%+, then is it still alright to do a rollout, or would it be better to closeout and book this profit in case price falls? 2. If again at expiry I want to rollout a stock in a volatile market, but because there are earnings for the stock later in the month then could I sell weekly options up to the ER, or is it better to first wait until the market becomes less volatile first? Have a feeling like there could be a rally quite soon in this very challenging market as of lately. 1- If chart technicals are bullish, calculations meet our monthly goals and there is no upcoming earnings report, the conditions meet the criteria for rolling an option. 2- Weeklys are in play to circumnavigate earnings reports. Factor in wider bid-ask spreads (if applicable) and additional trading commissions in our decisions. 3- Yes, right in our reports in the pink fields (bumped from our list). Many of these securities just missed for technical reasons as the entire market has been responsible for the small number of eligible candidates. You can also use finviz.co free screeners and set up criteria to generate candidates but you will most likely find that few meet elite standards in the current market environment. 4- I may have allowed the option to expire worthless and then sold the same $40.00 call the next month or the $35.00 strike if calculations met my goal (2-4%/month). Buying back the option when the strike is out-of-the-money at expiration may have been an unnecessary expense. Hope you can help me with a charge I ran into from my broker (TD Ameritrade) . I have started using deep in the money calls. The return is smaller but I feel safer. Today I checked my transactions for the stocks assigned. To my surprise I was charged $17 for each call assigned. I checked with the broker and they said that this is the normal charge for assigned calls and puts. My question is can this charge be avoided? If not, do you know if all brokers have a similar charge? This unexpected charge really cuts into the returns, especially the weeklys. This is an additional assignment commission charged to retail investors by a few of the brokerages. Gets me so angry. All they’re doing is selling the stock so why charge a higher commission? I would not tolerate it. 1- Contact your broker and explain your trading style and assignment fees of $17.00 simply does not align with how you trade. Tell them you are okay paying the typical fee for selling a stock. If you do not get a satisfactory response…. 2- Look into changing brokers…many do not charge that higher fee. First of all, thank you very much for your answer of my last question. This was very helpful! I have another (beginner question) and would be happy if you could stear me in the right direction. How do you determin the right time to decide if to roll out, roll out and down/up, …? I am currently watching some stocks from last week (e.g. ANFI) and it looks like within the last 3 days the ask price went up steadily while ANFI is still hovering around the same price. When do you wait until the last moment – Friday- to do this? Do you pass up a moment that looks great and fits the numbers to do this? I will rarely roll out and down. Rolling down may occur in the same contract month based on our exit strategy parameters but I will generally replace a declining stock once the contract expires. Rolling out or out-and-up are two strategies used frequently on accelerating stocks. Rolling out and up is reserved for the most bullish of circumstances. Most of the time rolling out or out-and-up is best executed as close to 4 PM ET on expiration Friday as possible (within a day or two is okay). I usually start my rolling strategies about 2 PM ET on expiration Friday unless I am traveling and then I execute the trades on Wednesday or Thursday prior to expiration. The reason is the way Theta (time value erosion of the premiums) works. Time decay will be greater for the near-month option than the next month option so we generally benefit by waiting. Now, ANFI is a great learning example. Note that in our member report, the next earnings date is projected to be March 7th. Rolling to the March contracts will put us at risk of a disappointing earnings report. In these situations, I will allow assignment. The other choice is to buy back the option near 4 PM ET on Friday, wait for the report to pass (in expectation of a positive surprise) and then write the call. The safer approach is to allow assignment. 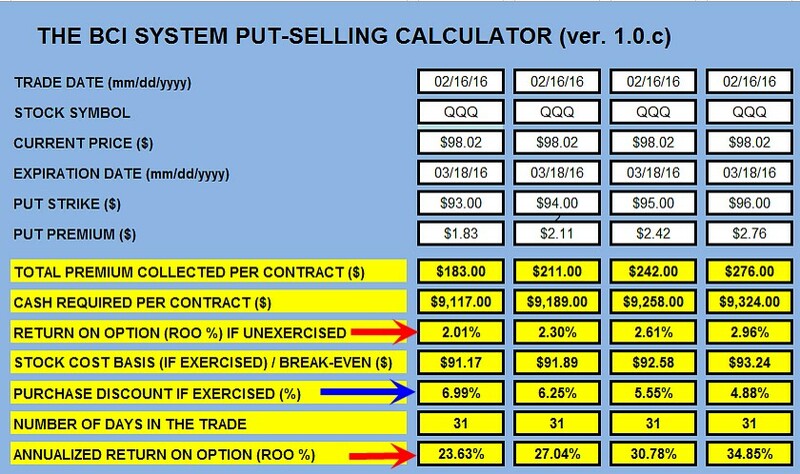 As a learning tool, let’s assume no earnings report and check the options chain for rolling out (see screenshot below), If we sold the $10 strike as shares are currently trading at $10.64, our cost basis at this point in time is $10…this is what are shares are realistically worth based on our option obligation. Rolling out will result in an options credit of $0.35 (less commissions) or a 3.5%, 1-month return. We have a 6% protection of that profit ($0.64/$10.64). We note that the $1.10 cost to buy back the near-term option consists of $0.46 time value ($1.10 – $0.64). This component will tend to decrease as we approach 4 PM on Friday whereas the time value component of the next month option will not decline as much. 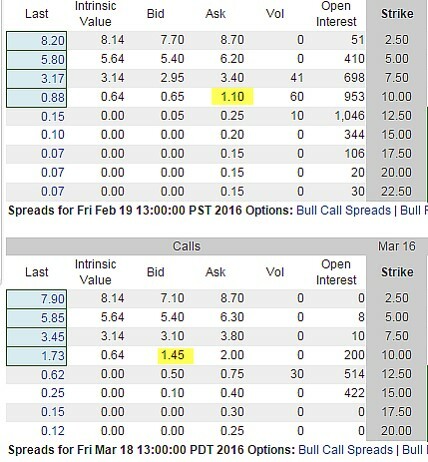 One more point: Note the bid-ask spreads of $0.45 and $0.65. We definitely should make an effort to negotiate those prices with the market-makers by leveraging the “Show or Fill Rule” (see pages 225 – 227 of The Complete Encyclopedia-classic and pages 122 – 124 of The Complete Encyclopedia Volume 2). CLICK ON IMASGE TO ENLARGE & USE THE BACK ARROW TO RETURN TO BLOG. – Why also would you wait until market volatility to ease before entering new positions on monthly contracts, but the weekly options are alright to enter straight away? You asked about scenarios when market conditions resulted in a modest list of stocks that passed our rigorous standards. Next best would be to check the stocks in the pink cells that may have “just missed out” from a technical perspective. I am not encouraging this as a routine procedure, just responding to your inquiry. Also, in most weeks, our list will be more robust as it is in the 2/20/2016 report compared to the 2/13/2016 report. It is okay to sell OTM strikes in bearish/volatile market environments depending on how bearish and how chart technicals look. I will usually select strikes on a percentage basis…some ITM and some OTM. We can wait for volatility to subside but this could take us out of the market for significant time frames. Adjusting our techniques to these conditions is another approach…the one I am comfortable using. Sometimes, we will need to move out of a stock when selling Weeklys but we must be cognizant of the calculations. Up front, we are accepting 4-5 times the number and amount of commissions when selling Weekly call options compared to Monthlys. If we also change underlying securities, those commissions would end up 8 -10 times those from selling Monthlys. 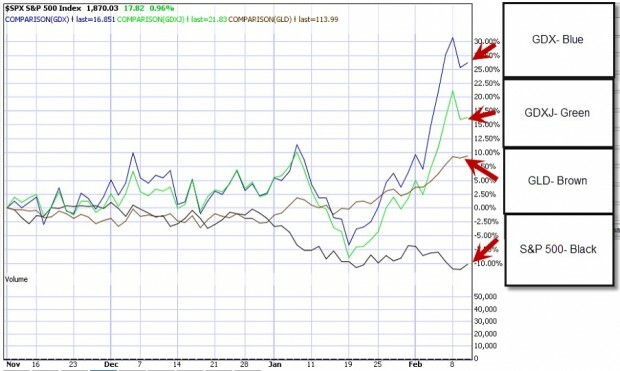 In your example, the stock price dipped $0.80 by expiration and so may remain in play for OTM or ITM next month calls. ← What Do Bernie Madoff and Covered Call Writing Have In Common? Terry Hi Jay and Hoyt; Question for you Jay: "